fully customised with your branding! 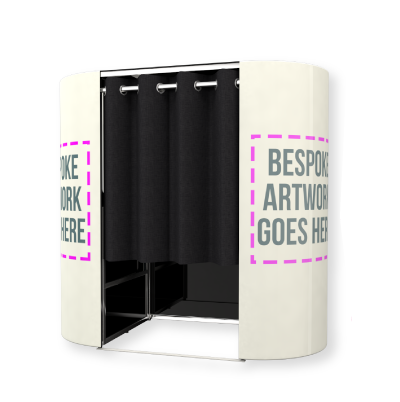 Head-turning, fully branded booths that create the exact buzz you’re looking for, Yup! that’s what we do well. Now, whether it’s a general corporate work do, a good ol’ fundraiser or a brand awareness campaign, we have a team on hand to help with your event. OMG! takes every detail and studies it carefully to ensure the best entertainment for your event. 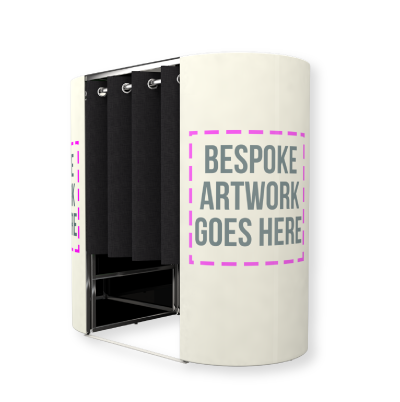 We’ve made it easy to customise your photo booths to look the part at your events but, we don’t stop there! It’s not just the look of our booths that make everyone scream ‘OMG!’, its the highest specced extras that are piled into every one of our units to ensure the best experience, every photo! Get in touch with us today to book your booth, pod or magic mirror. Whether it’s a wedding, party or corporate event, OMG! will have you covered! 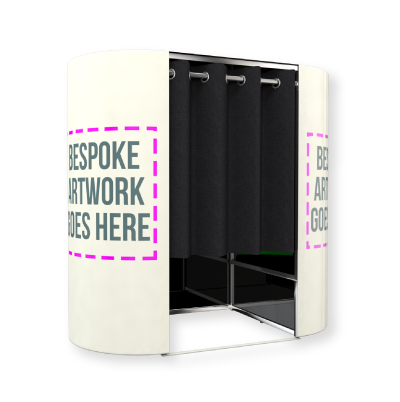 Our fully customisable photo booth packages allow you to choose your oval booth design style, curtain backdrop colour & print layout. If you fancy something different then why not add additional hours of fun, branded key rings or upgrade to our market-leading green screen photo booth technology for fully customised printouts. 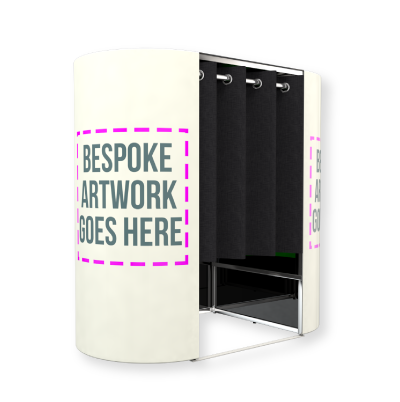 Awesomely great for Corporate Launches, Christmas Parties, Staff Incentives & Brand Activations, as you know but, why not go that extra mile and customise one of our award-winning photo booths with ‘Part Branding’ or ‘Full Branding’ options?